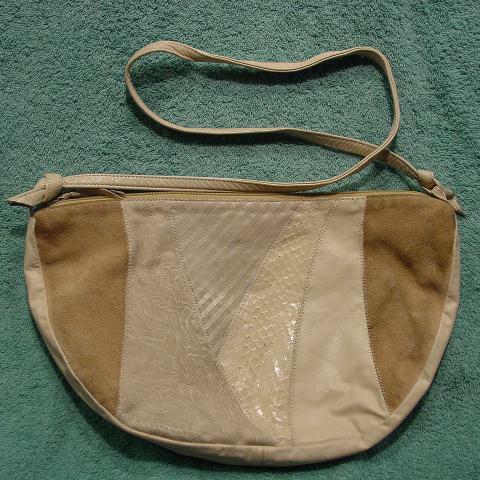 This vintage leather and snakeskin purse has creamy-bone snakeskin patches, smooth bone leather, striped suede, a freeform line design, and light cocoa (has some soiling on it) suede. The front and back have the same patches, but in a mirror image. It has a 38" long shoulder strap. There is a nice grosgrain champagne-cocoa lining with an open pocket. It's from a former Florida model.